The DSP-1760 offers customers a choice of two interfaces: a 15-pin Micro-D connector or a 13-pin circular bayonet connector. The dual-interface capability creates a total of six product configurations, with each one aimed at addressing the individual end-user requirements. 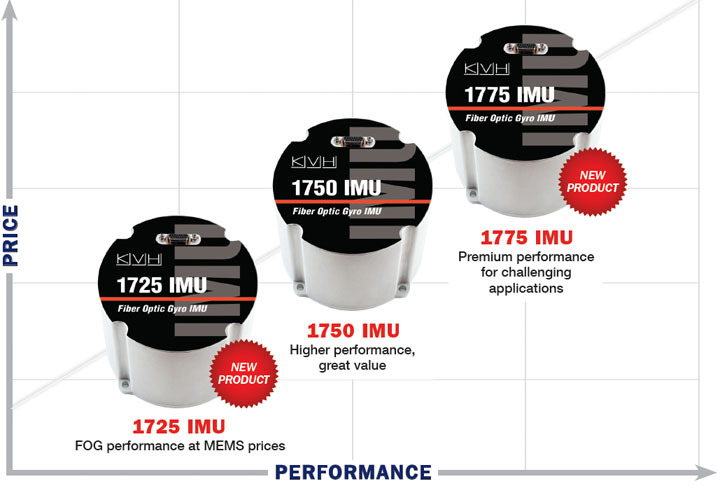 KVH says the DSP-1760 offers exceptional performance in bias stability, scale factor, and angle random walk. This high-bandwidth, extremely low-noise sensor uses the company’s exclusive 170-micron E•Core ThinFiber, a D-shaped optical fiber. By reducing the overall diameter of the fiber to just 170 microns (a 30 percent reduction from KVH’s original E•Core polarization fiber), the resulting E•Core ThinFiber enables a greater length of fiber to be coiled in a fixed-size bobbin, thereby increasing the accuracy of the gyros. KVH has targeted the DSP-1760 at a wide range of commercial applications, such as mining automation systems that require highly accurate navigation support; land, sea, or air manned and unmanned platforms; pipeline inspection robots that need sensors for precise location and identification internally to the pipe; and any other hazardous environments where the end-user requires extremely accurate angular data. 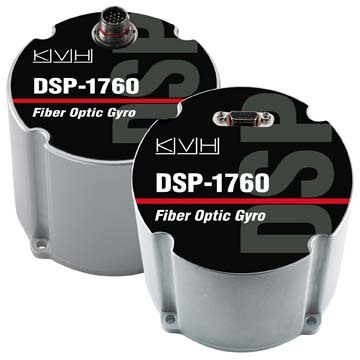 The DSP-1760 also integrates magnetic shielding within the gyro housing, providing improved performance in systems with problematic magnetic environments, such as locations where there may be large motors or transformers in operation, or large commercial vehicles with high magnetic signatures. Detailed product information can be found on the KVH website.